The Essentialists work globally specialising in teaching life and wellness skills for employees to thrive. Preventing costly team burnout by simplifying and focusing on health, clarity, purpose and direction through learning the essentials of Life Mastery. The Essentialists help people take control of their health, wellbeing and ultimately their happiness by committing to what it essential in both their personal and professional life. The Essentialists’ way isn’t about getting more things done, it’s about getting the right things done. What is truly essential to you? Personally and professionally, what truly matters? Lyndall is an author, wellness entrepreneur, qualified and accredited coach, corporate speaker and founder of award-winning Aurora Spa Group. Lyndall brings to her work the “hard yards” of running a thriving business with more than 100 staff, the knowledge gained from creating successful consumer brands and she is recognised as a true wellness trailblazer in Australia for her work at Aurora and previously at Camp Eden where she created individual programs for some of the country’s most stressed out executives. Lyndall has a powerful combination of hands-on business experience and more than two decades working one-on-one and in groups with overworked, overwhelmed and overscheduled people from all walks of life. Lyndall’s clients include global corporate businesses, executives, freelancers, business start-ups and many people in between looking to identify and achieve their vision of success. Together and as individuals, Shannah and Lyndall are acknowledged as Australia’s leaders in life and wellness education. Dubbed the “Thelma and Louise of wellness”, between them they have more than three decades of presenting and executive coaching experience across public and corporate sectors globally. Shannah and Lyndall work with a diverse range of clients including Macquarie Bank, Deloitte, CBA, QBE, Mercedes, Seek, The Body Shop, Kikki K, AFL, NAB and many other ASX-listed companies. They also work with Olympians, other elite athletes and busy people from all walks of life. They are committed to educate, engage and empower through their unique wellness programs and life coaching, challenging their clients to question the pursuit of “success” at all costs. By coming together, Shannah and Lyndall offer a wealth of experience, complementary expertise and approaches to maximize impact for their clients across Australia and Asia. 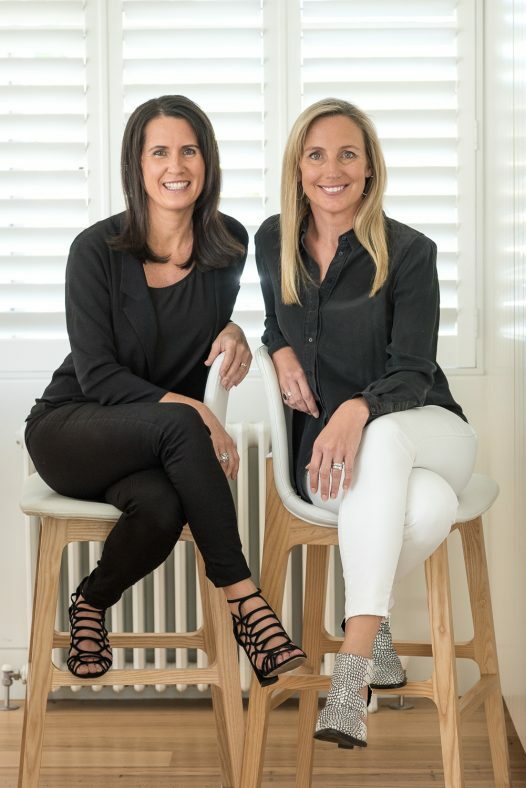 Shannah and Lyndall have featured on The Today Show, Australian Financial Review, The Age, Sydney Morning Herald, Switzer News, across social media and through leading lifestyle websites by Deborah Hutton and Jules Sebastian. “We work to give you the skills and knowledge to transform the way you live and work, to eliminate the distractions and drainers, understand the value of self care and get back to the essentials.” Shannah and Lyndall. The Essentialists religiously take one week annually to recharge at Kamalaya, Koh Samui Thailand that has been voted in the top five luxury wellness retreats in the world. Over seven days of holistic treatments, classes and individual therapies, they restore, recharge and reconnect. Businesses that invest in their people consistently outperform their competition. Whether it’s empowering people to take action through coaching, accelerating learning through training programs, workshops and keynotes, or embedding new behaviours through mentoring; these new skills can drive core business strategy and significantly add to the bottom line. The Essentialists’ way isn’t about getting more things done, it’s about getting the right things done. This clarity allows for far more effective work and self-care practices that ultimately lead to breakthroughs in work and life. Better leadership, human connections, self-care, gratitude, empathy and joy in the every day. The results of The Essentialist programs are testimony to this. Create the life you love – redefine what health, wellness, true wealth and success mean to you.